Time flies, and in a blink of an eye you’ve turned 8. Ever since you’ve started primary school, the clock hands seemed to turn even faster. It’s a mad rush everyday… 5am mornings, homework, music practice, bedtime. With all the activities going on, it’s easy to miss how quickly my little girl has grown. The change was gradual… then one day, you complained that your uniform was getting too short and you couldn’t fit in most of your pants(!) It was then that I realized that it had been quite a while since I had restocked your wardrobe. I guess that subconsciously, to me, you always remained that little girl who fit into the smallest sized uniform. Then, there was the day when you came up to me, proudly showing off your neatly tied ponytail (you had practiced for days by yourself). I teared. My little girl had grown up. You still believe in magic, but I’m starting to sense some skepticism about the existence of a tooth fairy (“Why does she have the same handwriting as you, mummy?”). You used to say that everyone is your friend, but now in our daily chats about school and friends, the word “enemy” has popped up. You ask about world affairs, and have found that google is a way to learn new things. You’ve started the habit of keeping a diary (“a real diary, mummy, no one else is supposed to read it.”) We discuss my work at the office. I’m trying to cope with the changes. On some days, it certainly feels like you are eight-turning-eighteen. Yet, with all these changes, you remain a pure-hearted, generous, kind-hearted soul. Your tenacity and perseverance never fails to amaze me. I hope these qualities will remain constants as you continue to bloom. I’ll always be proud of you, my dear daughter. This entry was posted in Thoughts and tagged birthday, children, family, parenthood on December 31, 2015 by mummyshymz. G starts Preschooler I at Heguru! Time really flies! It’s been one and half years since G started classes at Heguru. I know I’ve not been updating much on his progress on this blog, but yes, we have been continuing classes at Heguru. 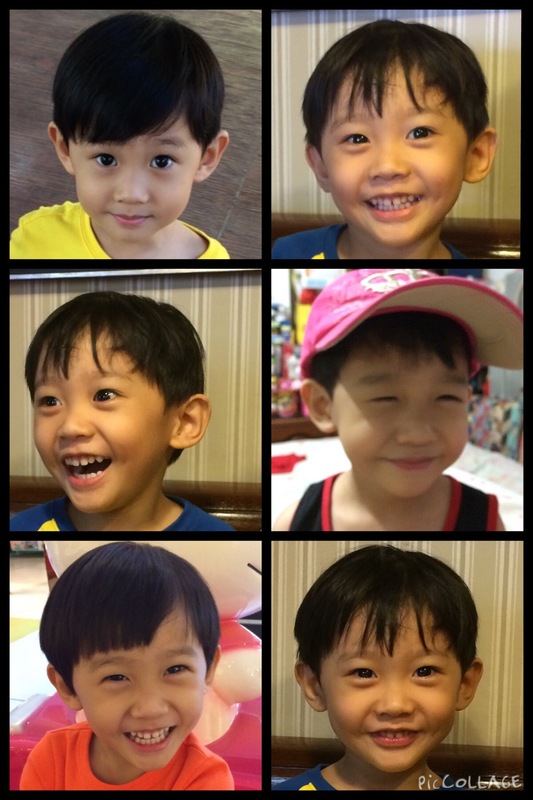 G has been attending the toddler class since Jan 2013, and last weekend, he finally moved on the the preschooler class! I don’t know about him, but I’m definitely excited about him progressing to the next stage. In order to better prepare the children for the change from parents-accompanied class to attending class by themselves, the school had arranged for a transition period for the children. For the first half of the toddler class, parents would sit with their children as usual. However, during the second half of the class, parents and children were separated for the activities. The usual activities like mandala coloring, iroita, tangrams and number memory were done independently by the children. During the first session when the parents sat away from the children, I could sense some insecurity (from both adults and children!) However, our minds were set at ease when we saw how well our children were managing without our help. I was so proud to see G coloring his mandala and doing all the activities with minimal help from the teachers! After a few transition classes, G was ready to go in independently for the Toddler class. I met up with his teacher to review his progress, and was pleased to note that he was paying attention in class and did well in his activities. He even managed to draw the shapes in the colour mandala. The preschooler class at Heguru is meant for 4-6 years. There are 2 stages – Preschool I (4-5 year olds) and Preschool II (5-6 year olds). 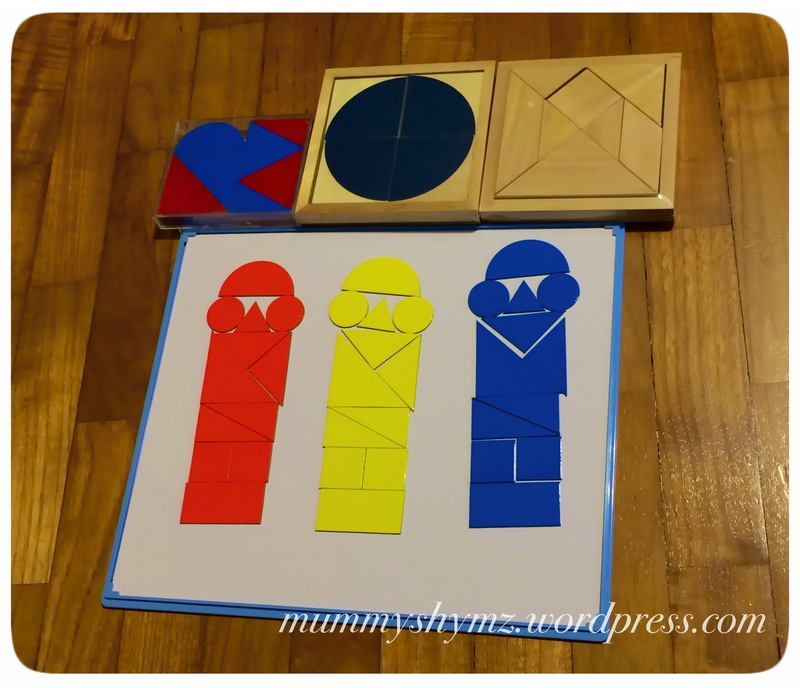 The objective of the preschooler class is “to consolidate what the children has learnt during the Infant & Toddler class and connect it to the left brain”. Activities that are done help to prepare the children for Primary school. 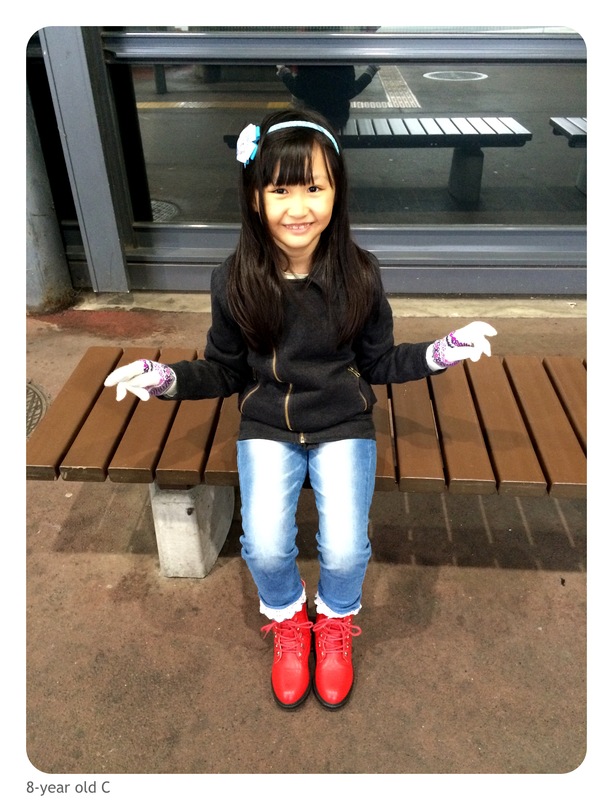 At the preschooler stage, the children start to attend classes independently. Preschool I class duration is 70mins (vs 50mins for toddler class) , while Preschool II class will be 90mins (same as the Primary level). To prepare for the primary school environment, chairs and tables are used in the preschooler classes. They are no longer seated on the floor throughout the class. First half will consist of right brain activities, similar to what was done in toddler class. Then, there will be physical activity, followed by desk work in the second half. In each class, the child will be handed 3 booklets of worksheets – C, R and H.
Booklet C is done in the class. 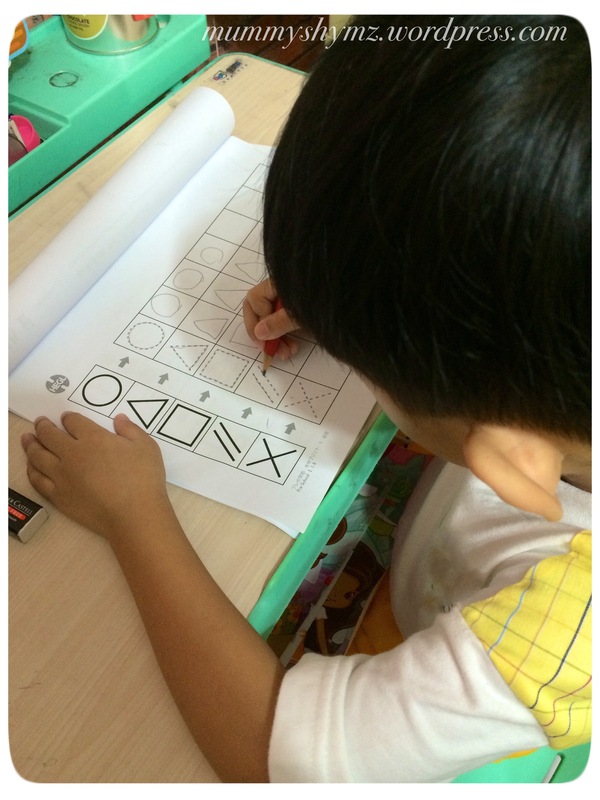 Some examples of activities include tracing, puzzles (pelican, iroita, tangram, plate), mandala, craft work, dot bar, listening comprehension and matching. Booklet R is the review booklet, to be done at home. It is essentially a duplicate of the activities done in class, meant for reinforcement of the concepts gone through in class. Booklet H is the homework (!) booklet. It includes extension activities based on what was done in class. For example, there could be a different set of matching, tracing etc. This is meant to be handed up the next week. After every class, there will be a 10min session where the parents are invited into the class and the teacher will go through in detail the activities that the child has gone through that day. The objectives of each activity are also explained clearly so parents have a clear idea what to do. For example, the teacher explained how they taught the children to use scissors correctly, how much time was given in class for each activity, how to reinforce concepts at home. I’m not able to observe him in class, but based on the teacher’s feedback, and the worksheet activities, he was able to complete most of the activities independently and on time. Some of the activities that I needed to reinforce are the Pelican puzzle and Mandala drawing. I had some reservations initially when I found out that the preschooler class was not parent-accompanied, as I would not know how to guide him at home. However, my concerns were addressed during the parents session, where the teacher explained each activity in detail, and we were provided with the booklets to continue with the reinforcement at home. In my opinion, the preschooler syllabus is well thought-out, covering aspects such as fine-motor skills training, mathematical concepts, logical reasoning and listening comprehension. As the activities are timed, and parents receive feedback via the timing written on the worksheets to see the areas where we can continue to work with the child at home. Do stay tuned for more updates! This entry was posted in Knowledge bank, Right brain and tagged children, education, heguru, homeschool, right brain, shichida on July 6, 2015 by mummyshymz. 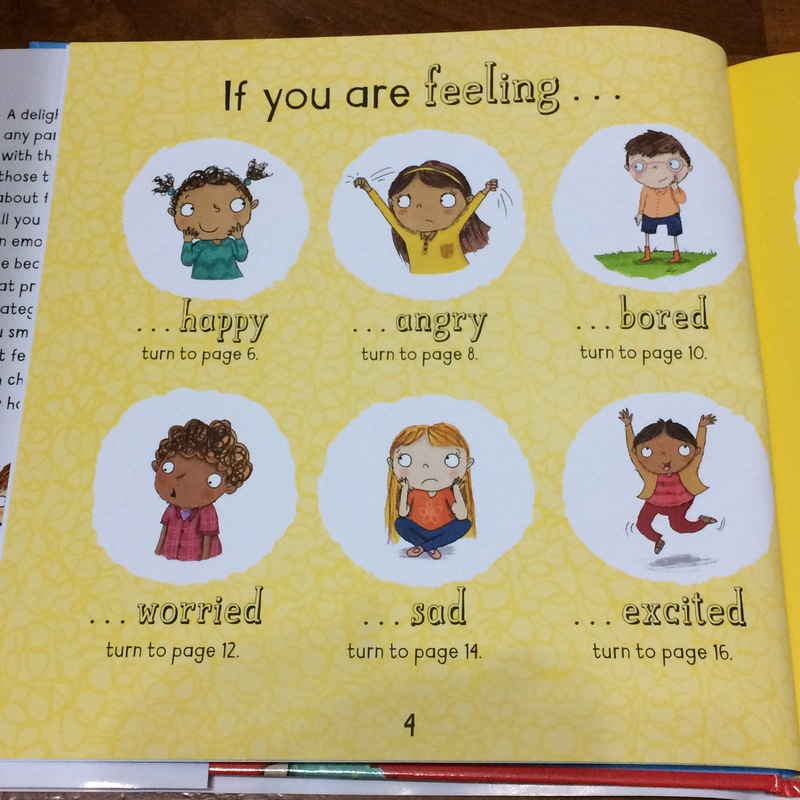 Book review: How Are You Feeling Today? Emotions are tricky things to handle, even more so when you are a young child. For someone like C, who tends to internalize her emotions, it takes a fair bit of coaxing in order to get her to discuss how she feels and identify ways to cope. The phrase “I’m upset” could mean anything, ranging from jealousy, anger to just plain old grumpiness. We’ve read stories about dealing with emotions, and discussed how the character should react in the different scenarios, but somehow, I found this method somewhat lacking. 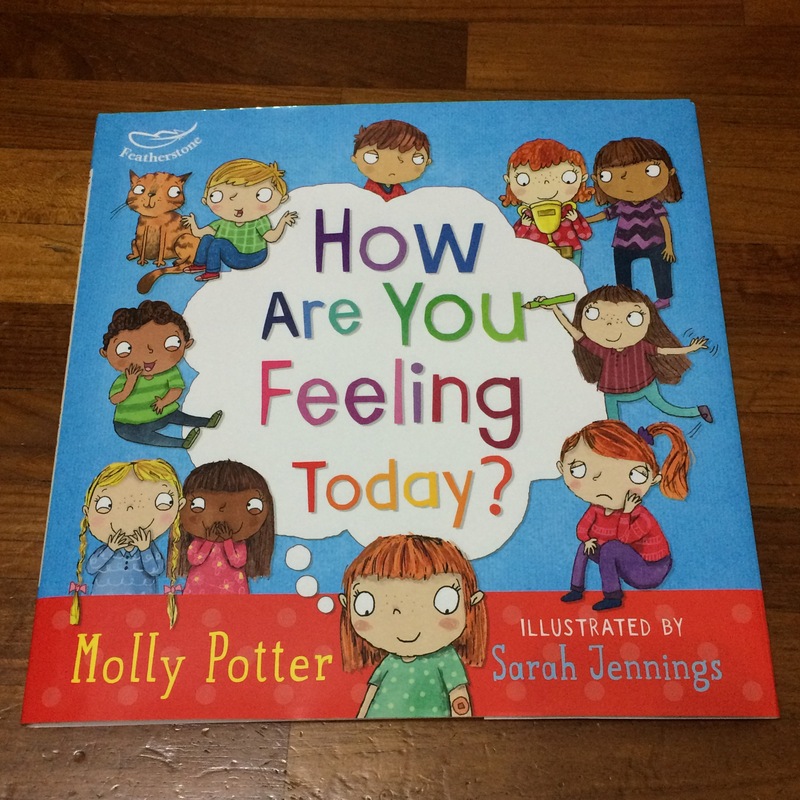 I needed a quick go-to book about emotions, something that C could use as an aid to help her deal with all the feelings that were going on inside her. A few weeks ago, I was browsing through an online book sale when I came across How Are You Feeling Today? by Molly Potter. 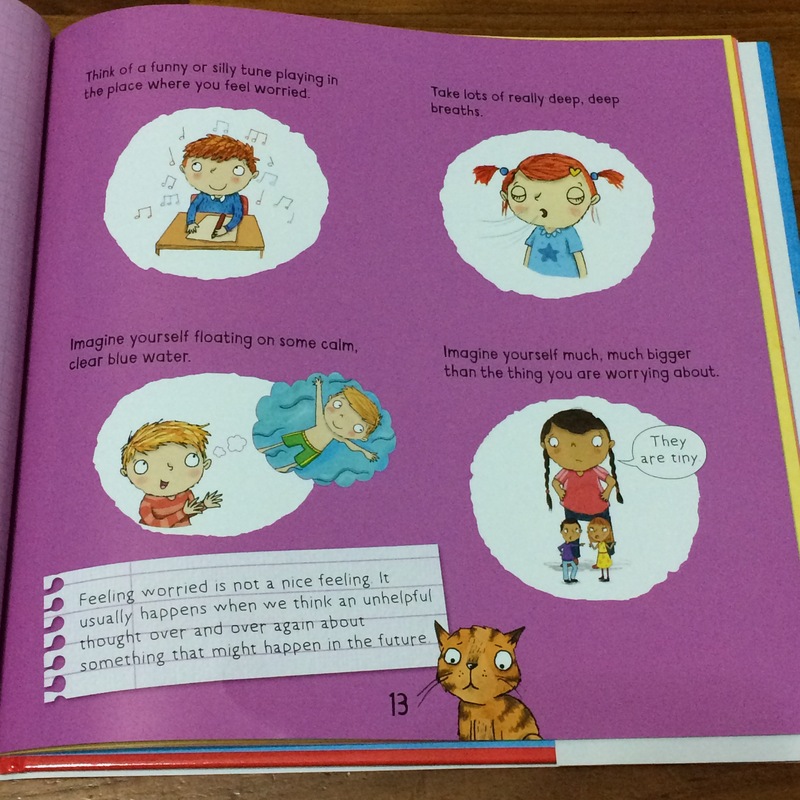 Providing children aged 6 and above with straightforward, entertaining and (most importantly) appropriate ideas to help them deal with a selection of significant emotions that might not be so easy for them to decide what to do with, the book lets children choose a feeling that relates to them and offers child-friendly strategies for dealing with that emotion. This book sounded like just what I needed! There were no look-inside pages available online but I knew C would definitely be enticed by the illustrations (yes, the cover is so very important!) So I went ahead to buy the book! When the book arrived, I knew that I had made the right decision. 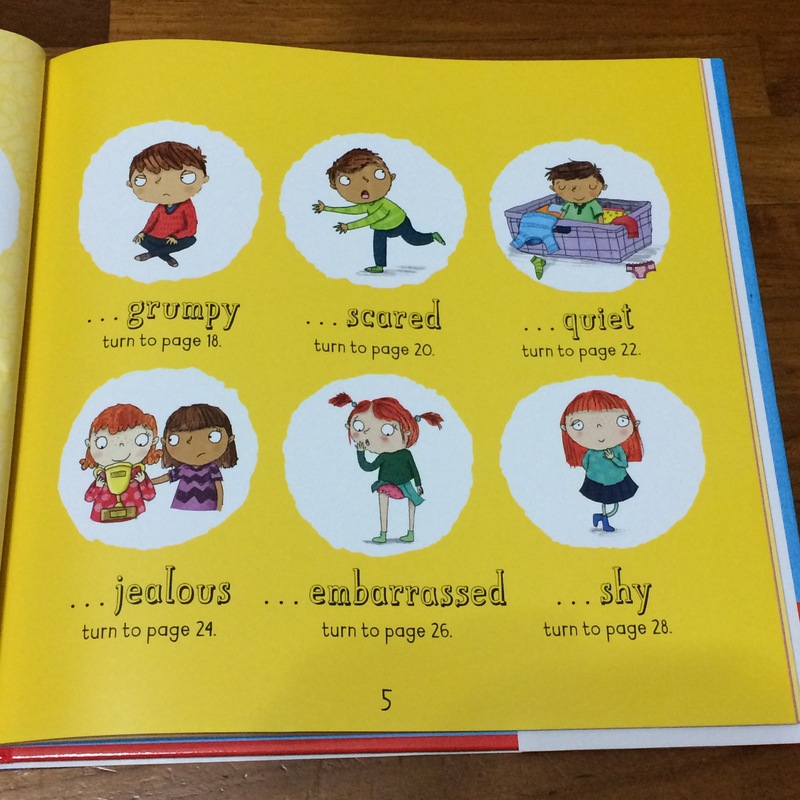 Done in picture book format, the first few pages quickly summarized the range of feelings covered by the book. The first two pages worked like a quick index – the reader could simply refer to the correct page based on what they were feeling that day. Most of the children’s books I’ve read dealt with emotion handling using a storyline. 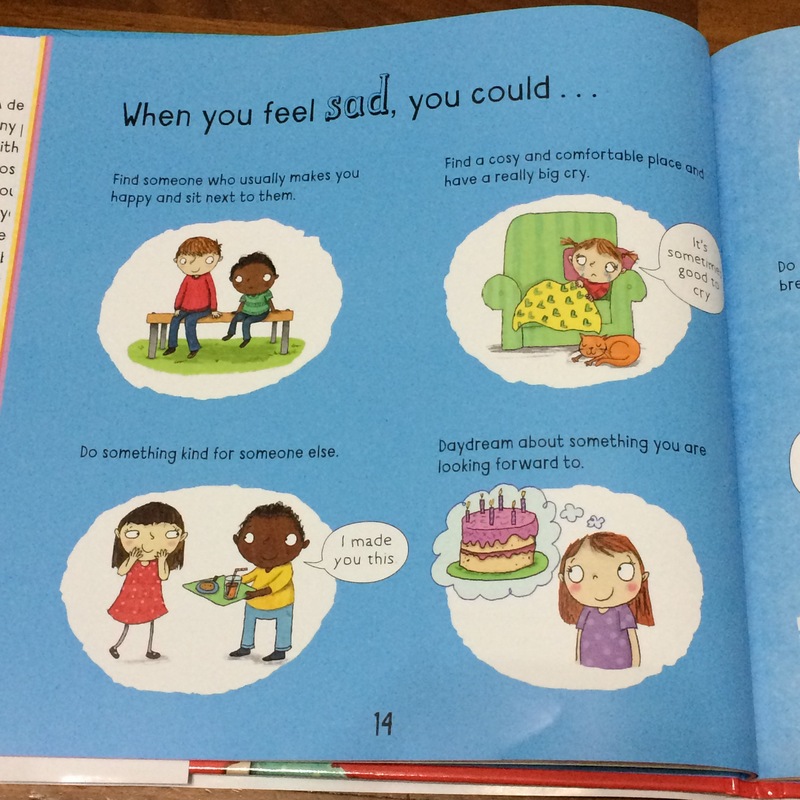 I appreciated that this book was presented as a self-help book, and went straight to the point to identify different emotions. By giving suggestions to the child to deal with each emotion, it empowers them to handle their emotions in a constructive manner. Using illustrations, the author also helped to provide pictorial clues to identifying more complex emotions, such as jealousy. 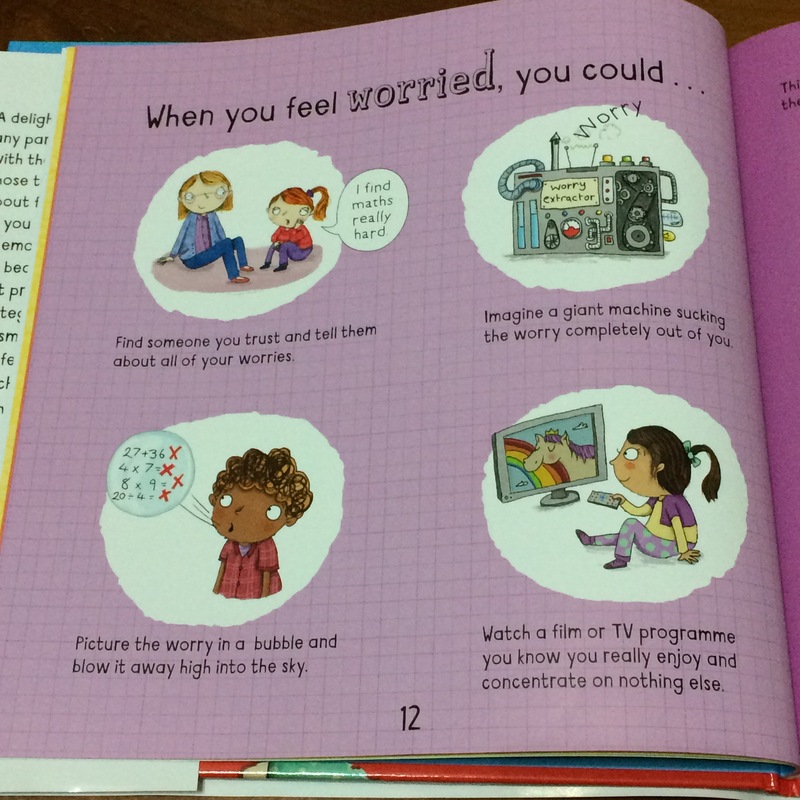 At the end of the book, there were also tips for parents on how to improve emotional literacy. This book helped me deal with some difficult times when C was frustrated. I would point to the book, “Please read the book and try some of the suggestions!” – even if the suggestions didn’t work, it still bought me time and gave C a cooling off period! I would definitely recommend getting this book for 6 to 9 year olds. Do you have any recommendations for self-help books for kids? This entry was posted in Book review and tagged children, education, emotional quotient, emotions, homeschooling, parenting on July 3, 2015 by mummyshymz. In a blink of an eye, you’ve turned 4! I must say that the journey the past year has been a roller-coaster ride. Truth be told, I had never really experienced the “terrible-threes” with your sister, so when other mums spoke of it, I could only nod in sympathy. Now, I can proudly say that I am a survivor of full-blown tantrums, one that only a toddler going through the terrible-three phase is capable of. I’ve sat with you for an entire hour outside the classroom, because you decided that you didn’t want to go in (you were excited about the class, until the moment you stepped through the door). I have held you when you had major crying fits, because things didn’t go the way you wanted (the zip wouldn’t work, the blue crayon did not colour red, the teacher looked at you in class). Yes, we survived that together, my strong-willed little boy. Thankfully, the tantrums tapered off as you grew in eloquence and maturity. You are no longer the shy little boy who hides behind my legs when you meet strangers. Now, you proudly announce your name, age and “this is my mummy” to complete strangers. You are no longer hesitant to belt out bthe entire, extended version of “Old MacDonald Had a Farm” at the top of your voice in public. Your ability to express yourself has improved by leaps and bounds over the past year. I’m already starting to miss your “I so much to see you!” (This has been replaced with a grammatically correct “I miss you so much, Mummy”) I’m always amused to see you narrate your own stories – where the 3 little pigs ride off in a car leaving big bad wolf in the dust, or where Dora is helped by the Paw Patrol in the forest when she falls down, or where Jack climbs the beanstalk at Old MacDonald’s Farm. Your creativity never ceases to amaze me. Yet, you still remain the sensitive and loving little boy who showers hugs and kisses to all near and dear. I love it when you picked up my hand and started kissing it during our class at Heguru (much to the amusement of the teachers), when you give great big hugs when I return from work, and when you say “I love you, Mummy” at random moments. You’re the one who asks if I’m tired, or upset, and tries to cheer me up by offering your toys or a sweet. You are such a happy little boy, who never fails to make me smile with your cheeky grin, even when you are up to mischief. Your beautiful soul is reflected in your colourful doodles… and this latest self portrait is one of my favourites because it reflects exactly who you are, complete with a big, wide smile on his face. I pray that you will always keep this rainbow inside your heart. Happy birthday my little boy. I love you lots! This entry was posted in Thoughts and tagged birthday, children, family on June 21, 2015 by mummyshymz. 23rd March 2015. 5am. I woke up to read this announcement on the Prime Minister’s facebook page. The news should have come as no surprise. Mr Lee’s condition had taken a turn for the worse in the recent days. Yet, the feeling of shock was unmistakeable. Somehow, deep inside, I had expected this giant of a man to make a miraculous recovery to celebrate the nation’s 50th birthday, like he always did. The shock was eventually replaced by a wave of great sadness. Mr Lee Kuan Yew had passed away. This time, it was not a hoax. It was real. A week of national mourning was declared for our founding Prime Minister. Tributes poured in on the media. His speeches were aired on national TV. Documentaries on his achievements were broadcasted. I am born and bred in Singapore, but I had never fully appreciated the magnitude of his contributions and sacrifices. Sure, I knew that he played a leading role in the period of separation between Malaya and Singapore, that he initiated various policies that brought Singapore to what we are today. But to me, he was just a Prime Minister, doing what he should do. As the stories continued rolling in, I felt new-found respect and awe for him. I saw him in a new light, and understood why the pioneer generation held him in the highest regards. He had brought Singapore from a third-world country to a first-world country within a short span of 50 years. My mum recalls the early days of Singapore, when riots were common, when they had to queue at the public taps for water, when it was common for a family of 11 to squeeze into a tiny room. Not everyone had the option of attending school then. Without Mr Lee’s remarkable foresight and leadership, many of the things that I take for granted today would probably not exist. Clean drinking water straight from the tap. Being able to walk alone in the streets at night without fear. Bilingual education for all. Affordable public housing. The list goes on. There is no doubt that he was a great leader and a great politician. Above all that, he was also a loving husband, father and grandfather. The love story of Mr Lee and his wife brought tears to my eyes. I saw photos of his home for the first time. Suddenly, he was so human. Little snippets of recollections by people close to him revealed a man who dedicated his life to Singapore. A man who continued to work till his recent hospitalization, who breathed and lived Singapore. Indeed, Singapore is what she is today because of him. I’m sure that I wasn’t one of the minority that felt this way, because I joined hundreds of thousands of people queuing to pay our last respects to Mr Lee at the Parliament House. Singaporeans, young and old, queued for up to 10 hours for the few seconds to see him, to express our gratitude. For once, I felt the solidarity of Singaporeans, united in our grief. Today is the final day of the week of national mourning. The day that we say our final farewells to Mr Lee Kuan Yew. It’s hard to describe my feelings as I watch the funeral cortège passing through the streets of Singapore, showing Mr Lee the successful little red dot that he spent his life building. Good bye sir. Thank you for all that you’ve done for Singapore. 一路好走. This entry was posted in Thoughts and tagged rememberinglky on March 29, 2015 by mummyshymz. 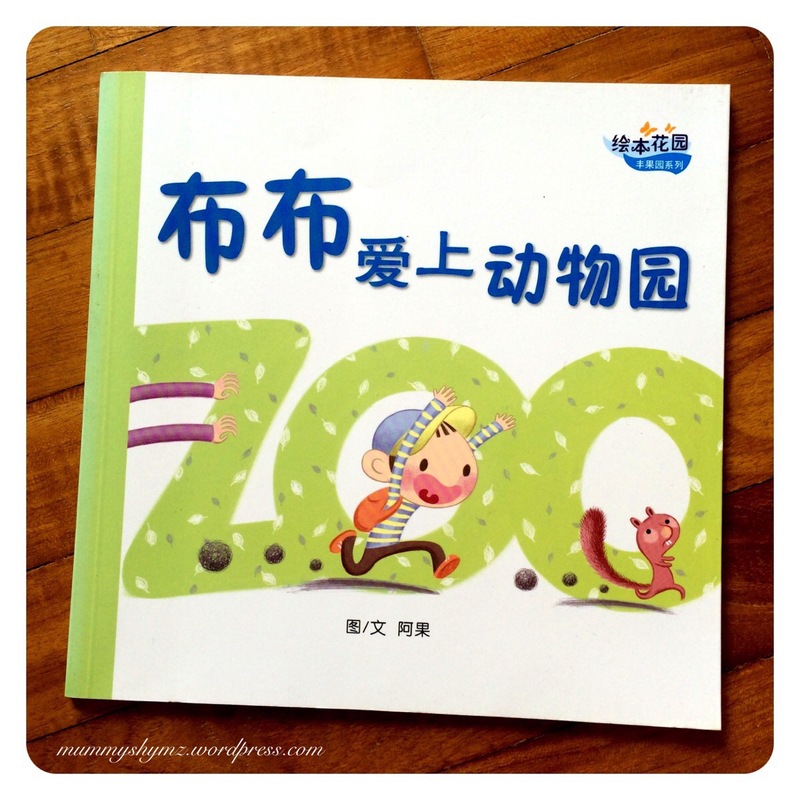 In a previous post, I promised to introduce some books that piqued C’s interest in Chinese. Here is a recent series that she has read. 布布 series was introduced by C’s school as part of the recommended reading for Primary 1 students. Written by Singaporean author Lee Kow Fong, also known as Ah Guo (阿果), this series of books follow the life of a boy named Bubu (布布). In this review we will take a look at the first book in the series. 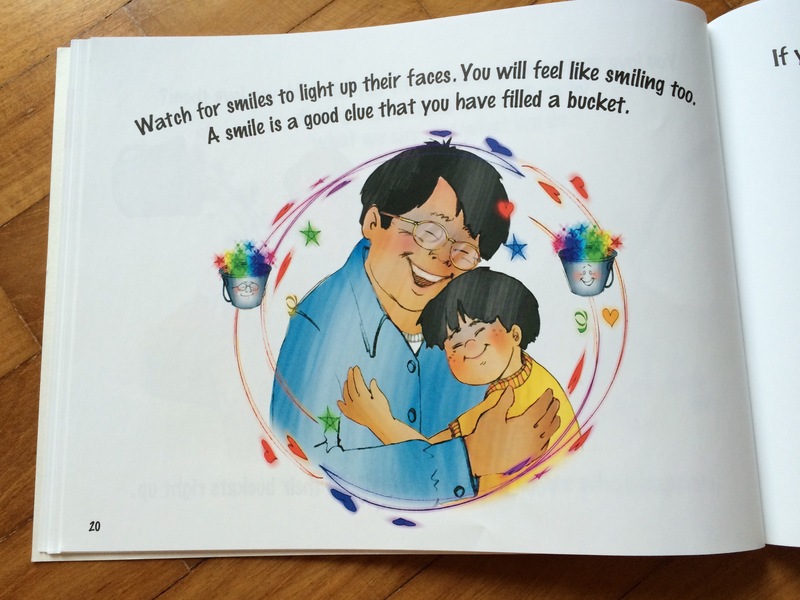 This entry was posted in Book review, Learning Chinese and tagged Ah Guo, Bubu, Bubu Series, children, chinese, education, homeschool, language, Lee Kow Fong, Reading on March 6, 2015 by mummyshymz. I have been on the lookout for books that teach kindness and empathy. So when I came across this multiple award-winning book on Amazon, I did not hesitate to buy it. In the reviews, Have you filled a bucket today? is described as a “heartwarming book”. Once you open the pages, it’s easy to see the appeal of the simple prose and beautiful illustrations. In the book, author Carol McCloud uses a simple analogy to describe our state of emotional well-being. 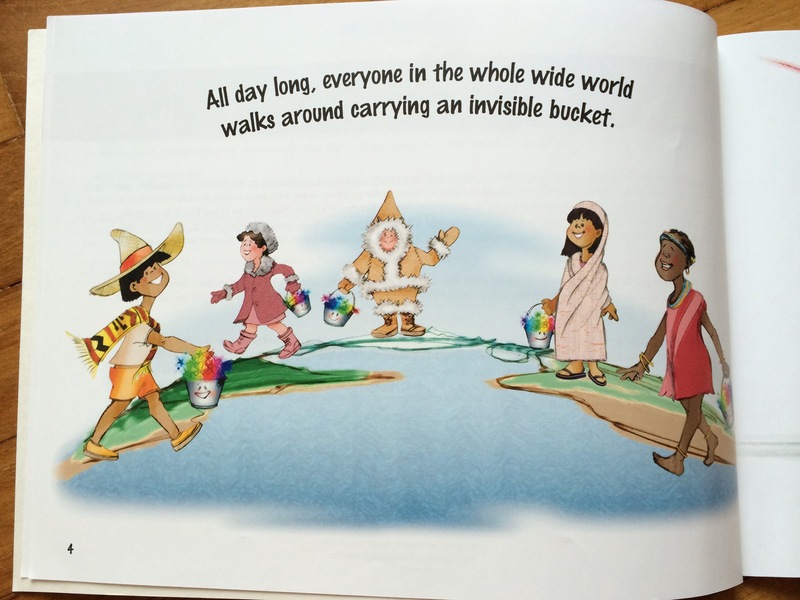 We all carry invisible buckets! 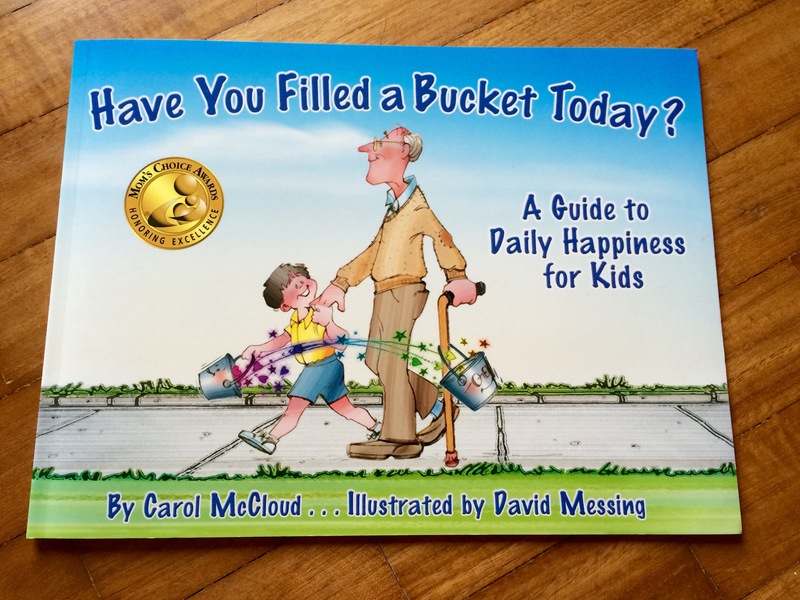 The metaphors “bucket-filling” and “bucket-dipping” are used to describe the effects of our actions and words on others. Examples of day-to-day bucket-filling actions are given: saying “I love you” to our parents, being nice to friends, writing thank-you notes to our teachers. 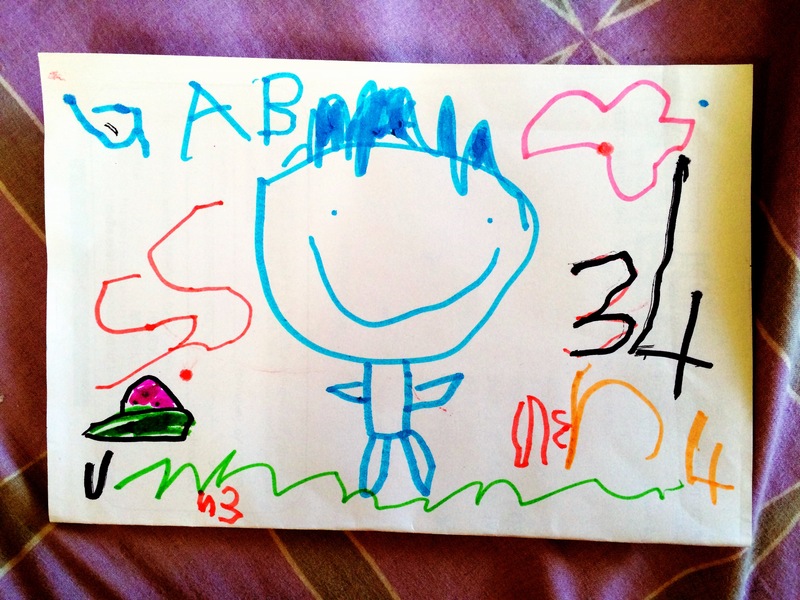 The simple text and vivid illustrations helped to keep his interest. 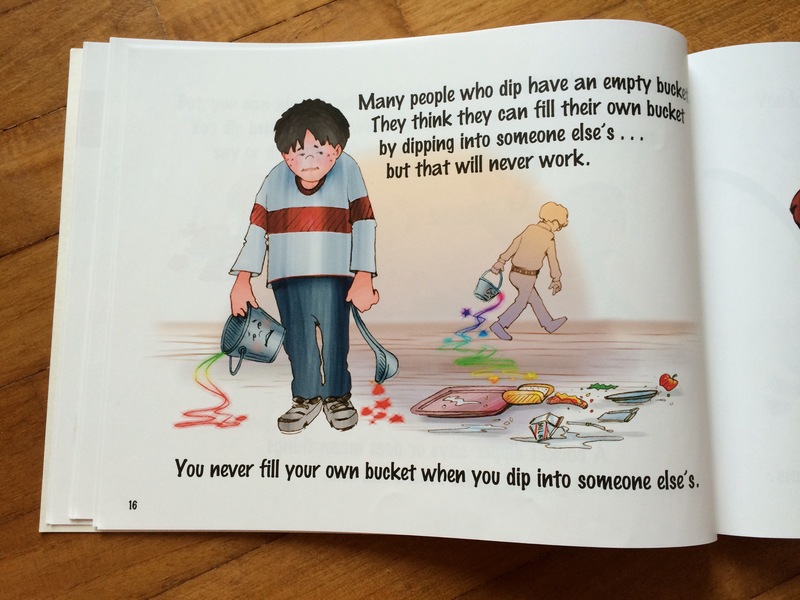 While G understood the literal meaning of “bucket-filling” and “bucket-dipping” (or bucket-emptying in his words), I had to explain that a full bucket means that the person was happy, and an empty bucket meant that the person was sad. He was also able to describe how he could “fill buckets” – by helping his friends and sharing his toys. The language used is simple and it makes for a great read-aloud (helpful when you have to read the book over and over again!) I enjoyed reading the book with the kids, and it was a good starting point for a discussion on positive and negative behaviors and their impact on others. I would definitely recommend this lovely book to kids as young as 2, to 9. There are also follow up activities available on the web. Do you have any book recommendations to teach empathy to kids? This entry was posted in Book review and tagged book review, children, education, emotional quotient, empathy, fill a bucket on February 25, 2015 by mummyshymz.